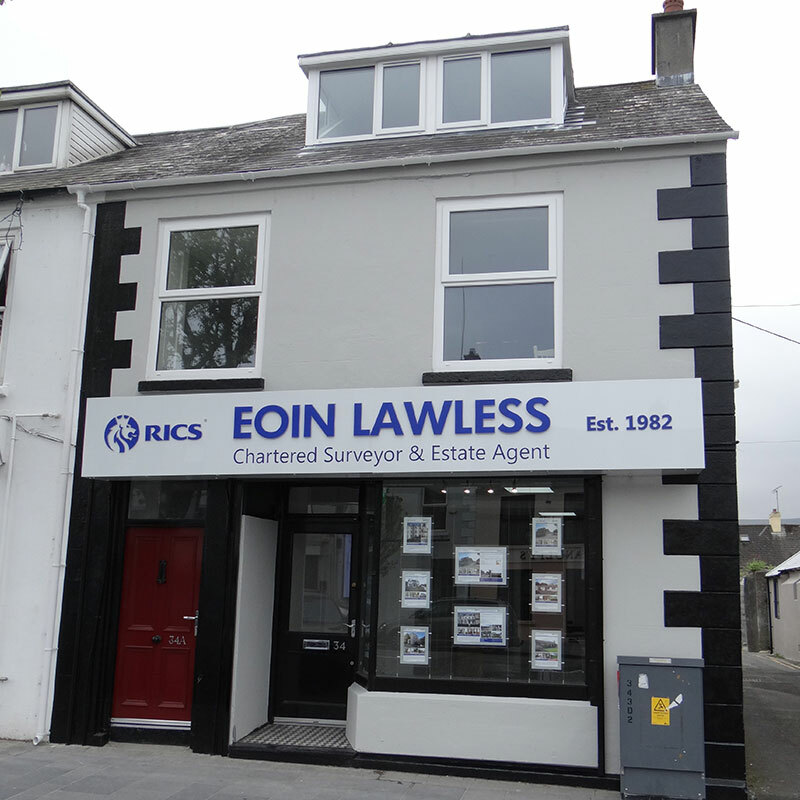 Eoin Lawless FRICS has been a Fellow of the Royal Institution of Chartered Surveyors (RICS) since 1982. Membership of the RICS places upon every member responsibility for the delivery of services within an ethical context and subject to certain core values. Eoin must demonstrate that he is able to operate as a skilled Practitioner, but also in a way which society expects of those with professional status. RICS is the largest organisation for professionals working in property, land and construction worldwide. The organisation is under Royal Charter to provide the government, business and the public with clear, impartial advice they can trust. So when you want to sell your home, you can take advantage of the expertise by choosing an agent who is an RICS member. They give you clear, impartial and expert advice. They act in your interest. They are tightly regulated and have strict codes of conduct to protect you - including proper insurance. RICS members have to update their skills and knowledge throughout their careers, so you can rely on their expertise. You are further protected by the RICS complaints service. THIS ENSURES A STANDARD OF PERFORMANCE NOT USUALLY EXPECTED OF MANY OTHER ESTATE AGENTS. These principles are adaptable to reflect changes in legislation and changes in society's expectations of the profession. The RICS will demand that Eoin Lawless Chartered Surveyor and Estate Agent will not only demonstrate a knowledge and understanding of these principles, but also to demonstrate a committment to meet these ethical standards and maintain the integrity of the profession.